From poor weather to breaking down, or emergency situations that leave you away from home, there might be times when you’re in an emergency situation. 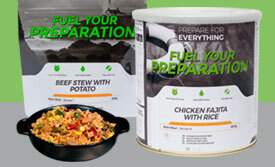 This could also be away from where you’ve normally made your preparations and stockpiled supplies. This is why it’s important to consider preparation in other areas, especially your car, if it’s something you use every day. This way you can always have what you need close to hand to get by in an emergency. But what should you keep in mind when preparing your car for an emergency? Like most preparation and planning, you should first think about the situations you’re most likely to find yourself in. This could be being cut off by poor weather, or running the risk of being cut off from home due to problems with local infrastructure. Taking the time to look at what you’re most likely to have to deal with can help you to identify what you need to prepare your car for, as a matter of importance. This might be making sure you have snow chains in your car because you live in an area where grip on the roads becomes a hazard in poor weather. Or it might be having a wind-up radio or phone charger in your car to help you stay connected to people and information, such as in areas where you might be stranded for some time. Regardless of the emergency you’re having to deal with, there are a number of pieces of equipment and supplies that you should think about always keeping in your car. To help make sure your car is still practical and you don’t take up all the space in your boot, think about storing as much of this in a tool box or packing crate, which you can store to one side of your boot. This means you can still retain the full use of your car. It also allows you to properly organise and store your supplies for when you actually need them. 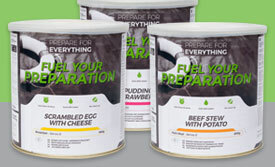 Freeze-dried meals take up very little space and have a long shelf-life. 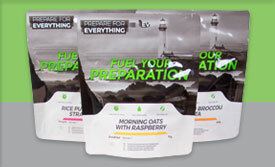 This means they are a fantastic option if you want an emergency food supply in your car, but don’t want it to take up too much space or run the risk of food spoiling. Having the equipment and supplies in your vehicles to rely upon in an emergency is important, but so is being able to rely on your car. The worst thing that can happen in a difficult situation is your car letting you down. You should aim to always keep your car in a decent working condition. However, when weather worsens, or you become aware of changing conditions that could cause problems, like changes to local infrastructure, it’s important to take the time to ensure your car is prepared. This might mean checking your battery is properly charged, that your car has enough fuel, and oil and water levels are correct. You should also check that your spare tyre is in good condition and that you have all the tools necessary to change it if need be. Think about potentially including spare parts for your car, such as spare headlight bulbs and wiper blades, as part of your preparedness planning. Having a small petrol can also ensure you can gather fuel if necessary, and helps you to stockpile some spare fuel should you need it. Preparedness isn’t limited to your home or place of work. An emergency might not necessarily arise while you’re stationary, which is why ensuring your car houses enough supplies and equipment to help you get to safety is key. Whether this is awaiting rescue during heavy snow, or navigating difficult road conditions, making sure your vehicle is prepared is crucial. They can also be prepared using cold water, meaning that if you’re stuck, and can’t get access to hot water, you can still prepare food to keep you going.